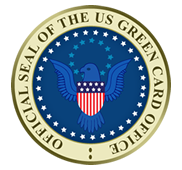 You can choose between 2 Green Card Lottery Plans. If you are unmarried you are able to select 2 different plans in step 2 of your application. This lottery plan include one ticket for one year. This lottery plan include two ticket for the two years. This years and the following year. Should you win the first year we will refund you the second year. If you dont win the first years we will submit your application again the following year. If you are married you are able to select 2 different plans in step 2 of your application. (one application for you and one application for your spouse) in one year. This lottery plan include four ticket for the next two years. If you dont win the first year we will submit your application again the following year. Can you details the application type if I want to apply together with my wife and 4 children. How can I do that?? YES, then you should choose Two Applications, one for your wife and one for you. if i pay and than i not selected as a winner so is there any money back policy or any good facility for next year dv lottery program or not ? ANSWER: If you are not selected the first year we will submit your application the following year if you have paid for the two year plan. Can you tell me, please, if I have husband and 1 child should I take 1 most popular plan?